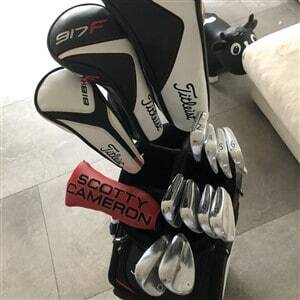 Decided to test the 718 irons and was properly fitted by club pro. I found out that the previous pro was not as thorough as my most recent fitting. Previous pro set me up with 714 AP2's with stiff shafts and they are 1/2" shorter than standard length....I'm 5' 10" and 195lbs. I should not be using less than standard length. I tried out png, cally, srxn, TM, Cobra and of course the 718 series. Narrowed it down to the AP3 or AP1 and definitely not a stiff shaft. The AP1 with the AMT regular steel or a regular graphite shaft is what I will be going with. The way I hit the AP1 clubs are amazing for feel and accuracy. Any ideas on what drawbacks would be for going with graphite over steel? I was fitted at a Titleist Thursday fitting in February. I tried AP2 and AP3s. The fitting showed AP3s offered better contact, reproducibility, distance and less dispersion for me. I tried many (6?) 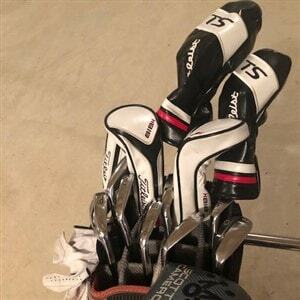 different shafts and the fitting with the Titleist proffesional put me into a stiff graphite for my irons and a regular flex graphite for H1 hybrids. I cannot say enough about the great benefit of going through the Titleist Thursday fitting with a Titleist pro. I would recommend you find a Titleist Thursday event near you and take advantage of it. For my swing the graphite provided straighter, high and good spin shots for my irons compared with the steel shafts which were had my shots consistently to the left. The AMT shafts for graphite and steel are about 30 g different. I compared the graphite and steel in a fitting. I've had 65 g graphite in the past. What it came down to was feel. I felt the steel shafts were easier to "find the head" during my swing. Both provided enough launch, so I went with the R flex TT Red shafts. Decide which one feels better, since you already went through a fitting with both. Unlike when steel shaft options were over 120 g, these AMTs that average 95 g cross over into the traditional "it's time for graphite" shafts. Regarding drawbacks graphite or steel. I personally think it comes down to feel. I love the more rigid feel of steel shafts makes me think of a baseball bat. However I noticed graphite shafts make me more focused on tempo. However I lose the ability to kick it up a notch. So I went to the “feel” versatility of the steel shafts, alowing my swing to more dictate the tempo instead of the whippy feeling of graphite. Also am 1.87m tall, and used to be 137kg before I picked up golf last year march, thanks to golf down to 97kg. Must say dipping in weight has forced me in more stiffer steel shafts due to feel reasons being more loose and flexible and the need to feel solidity in that. When I got fitted for the AP1 and AP3, both performed the same for me and basically came down to looks and went with the AP3s. I've been enjoying them A LOT!!! I picked them up when I was a 26 hcp 1,5 months ago. Havent had as much time as I would like to golf but currently playing hcp 20. 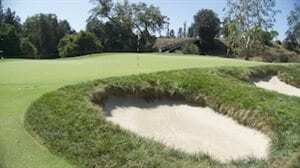 And if I would play only irons ( not end up in bushes due to driver) I would probably get down to 13/14 hcp. All because of knowing my yardage. It’s predictable. Which gives me room to play with it. But hey I picked up the game 1 year and 4 months ago so what do I know. I just know I don’t really buy that much in forgiveness, id rather hit the number I need. I had the 716 AP1s in regular flex and tended to get a lot of dispersion with my irons. At a fitting last August with TT, i was fit for the 718s and ended with a mix set of AP1 (5-7) and AP3 (8-GW) all with stiff shafts. The fitter explained that stiff doesn't always mean stiff. Some of the shafts have the stiffness lower in to keep the head firm. Although I've been struggling a bit lately, the problem is definitely the indian and NOT the arrow. I think you'll like your AP1's. I have a older set and I really like them for feel. Good luck!